SmallCapVoice, The Bowser Report, Marketbeat.com, and Wyatt Investment Research reported earlier on Where Food Comes From, Inc. (WFCF), and today we highlight the Company, here at the QualityStocks Daily Newsletter. Where Food Comes From, Inc. (d.b.a. IMI Global, Inc.) is a trusted resource for third party verification of food production practices. The Company supports over 10,000 farmers, ranchers, processors, retailers, distributors, and restaurants with a wide assortment of value-added services by way of its IMI Global, International Certification Services, Validus Verification Services, and Sterling Solutions units. Where Food Comes From is based in Castle Rock, Colorado. Where Food Comes From has a solutions portfolio that covers beef, pork, poultry, lamb, dairy, eggs, and organic. Its solutions portfolio includes offerings ranging from source and age, non-hormone and humane handling to organic, non-GMO (Genetically Modified Organism) and gluten free. The Company's Where Food Comes From® retail and restaurant labelling program uses the verification of product attributes to connect consumers to the sources of the food they buy via product labelling and web-based information sharing and education. Employing QR code technology, consumers’ can quickly access information concerning the producers behind their food. Where Food Comes From’s Validus Verification Services is a leader in independent certification of socially responsible production practices covering pork, poultry, and dairy products. Validus Verification Services is a wholly-owned subsidiary of the Company. Where Food Comes From’s Sterling Solutions is a top provider of third-party verification services in the western United States. Sterling Solutions serves large dairies, calf ranches, as well as cattle operations. It has greater than 10 years of on-farm auditing experience. Sterling Solutions operates as a wholly-owned subsidiary of Where Food Comes From. Where Food Comes From acquired a 60 percent interest in privately held SureHarvest, Inc. SureHarvest is a foremost provider of agri-food sustainability solutions. SureHarvest provides a broad array of sustainability and farming MIS solutions, certification and compliance management, and a host of professional services. Where Food Comes From also acquired privately held A Bee Organic, a USDA Accredited Certification Agency. A Bee Organic provides customers with National Organic Program (NOP) certifications for hydroponic, aquaponic, in-ground and wild crops. This includes avocados, blueberries, citrus and stone fruits, greens, and manzanita. This past October, Validus Verification Services, a subsidiary of Where Food Comes From, announced it was selected as the exclusive provider of third-party, onsite verifications for Canine Care Certified. Canine Care Certified is a voluntary program. It sets rigorous, science-based standards for dog breeders. The non-profit program addresses the physical needs and the behavioral well-being of dogs raised by breeders. In November, Where Food Comes From announced its 2017 Q3 and nine-month financial results. Selected highlights include Q3 Revenue up 42 percent year over year to $4.7 million from $3.3 million. This was on the strength of China reopening its markets to U.S. beef exports and strong performance by all operating units. Q3 Net Income was up 29 percent to $290,200 from $225,000. Q3 Adjusted EBITDA (Earnings Before Interest, Taxes, Depreciation and Amortization) was up 64 percent to $743,900 from $454,100. Year-to-date Cash generated from operations was $1.6 million. Where Food Comes From, Inc. (WFCF), closed Friday's trading session at $3.45, up 1.47%, on 27,594 volume with 39 trades. The average volume for the last 60 days is 11,284 and the stock's 52-week low/high is $1.88/$3.50. OTCPicks, Stock News Now, IRGnews Alert, SmallCapNetwork, Greenbackers, Streetwise Reports, and pastwellness reported earlier on Orgenesis, Inc. (ORGS), and we highlight the Company as well, here at the QualityStocks Daily Newsletter. Orgenesis, Inc. is a fully-integrated cell therapy and contract development and manufacturing company. It has a novel therapeutic technology for the treatment of diabetes. The OTCQB-listed Company has expertise and unique experience in cell therapy development and manufacturing. Orgenesis is headquartered in Germantown, Maryland. Through its Israeli subsidiary, Orgenesis Ltd., Orgenesis is a pioneer in the development of technology designed to successfully reprogram human liver cells into glucose-responsive, fully functional, Insulin Producing Cells (IPCs). Orgenesis has a novel therapeutic approach in the treatment of diabetes through correcting malfunctioning organs with new functional tissues created from the patient’s own existing organs. The Company uses a molecular and cellular approach directed at transforming liver cells into functional insulin-producing cells as a treatment for diabetes. The new therapeutic approach is called Autologous Insulin Producing (AIP) cell transplantation. Orgenesis entered into several strategic partnerships and joint venture (JV) agreements in 2016. It entered into a JV Agreement with CureCell; it is collaborating in the contract development and manufacturing of cell therapy products in Korea. Orgenesis Ltd, its Israeli subsidiary, entered into a pharma Cooperation and Project Funding Agreement (CPFA) with KORIL and CureCell. KORIL will provide funding for a joint research and development project for the use of AIP cells for the treatment of diabetes. Additionally, Orgenesis entered into a JV agreement with Atvio Biotech Ltd., an Israeli company. This agreement is to collaborate in the contract development and manufacturing of cell and virus therapy products in the field of regenerative medicine. In December, Orgenesis Ltd., the wholly-owned subsidiary of Orgenesis, Inc., announced that Orgenesis and Pall Corporation completed their joint development program supported by the Israel-U.S. Binational Industrial Research and Development (BIRD) Foundation. Orgenesis is centered on developing an innovative autologous cell-based therapy for the treatment of diabetes. Pall Corporation provides advanced products and services to meet the demanding requirements of customers discovering, developing, and producing biologics, cell and gene therapies and classic pharmaceuticals. The BIRD Foundation works to encourage and facilitate cooperation between U.S. and Israeli companies in a broad array of technology sectors. BIRD offers funding to selected projects. Yesterday, Orgenesis announced it entered into a non-binding licensing and supply agreement-in-principle with Humavox Ltd. and MirCod for the development of important technology related to biological sensing with wireless charging for Orgenesis’ clinical development and manufacturing projects. The parties expect to complete due diligence and execute a definitive agreement within 45 days. Orgenesis, Inc. (ORGS), closed Friday's trading session at $6.79, down 2.86%, on 28,628 volume with 60 trades. The average volume for the last 60 days is 18,852 and the stock's 52-week low/high is $2.76/$11.76. Real Pennies, MarketWatch, InvestorsHub, Marketwired, Stockhouse, and OTC Markets reported on True Nature Holding, Inc. (TNTY), and today we are reporting on the Company, here at the QualityStocks Daily Newsletter. True Nature Holding, Inc.’s business plan considers a roll-up of businesses in the compounding pharmacy industry. The plan contemplates manifold acquisitions of businesses that have conventionally operated locally, but that have specialty formulations that may have a larger market. The Company is targeting the acquisition of pharmacies that serve the human, and in some cases, pet markets. True Nature Holding has its corporate office in Atlanta, Georgia. True Nature Holding’s focus is on the consolidation of the compound pharmacy industry. Its plan is to acquire a series of businesses that specialize in compounding pharmacy activities, primarily direct to consumers, and to doctors and veterinary professionals. Pharmaceutical compounding is performed in compounding pharmacies. It is the creation of a specific pharmaceutical product to fit the exclusive need of a patient. The Company has acquired 100 percent of the membership interests of Newco4pharmacy, LLC. Newco4pharmacy is a development stage business targeted at establishing a network of compounding pharmacies. True Nature is creating a blend of human and veterinary businesses, and a balance of cash oriented operations, and more usual insurance based operations. The Company expects to create three operating subsidiaries to hold its planned acquisitions, while maintaining its present holding company structure for the publicly held entity. The expectation is that all the new subsidiaries will be wholly-owned, single member LLC's, controlled and managed by the public company. True Nature Holding’s intention is to establish a joint venture (JV) for-profit subsidiary; True Nature Community Health, Inc. This will be owned by the public company, and a newly formed not-for-profit entity; The True Nature Community Health Foundation. It is launching this new initiative targeted at supporting the need for lower cost pharmaceuticals within the medically underserved small town and rural marketplaces. True Nature Holding is in the process of acquiring the newly formed subsidiary; True Nature Community Health, Inc. (Community Health Subsidiary). It will have an 80 percent ownership in the Community Health Subsidiary. The remaining 20 percent ownership will be held by not-for-profit organizations. Last month, True Nature Holding released an update to its shareholders on its strategy. This includes potential acquisitions, financing prospects, and its position concerning plans to participate in the Cryptocurrency and Blockchain space. Dr. Balencic continued, "We have continued conversations with other pharmacy operators with whom we have had long-term relationships, and subject to terms and financing, could move on those in early 2018 as well as the others previously mentioned." 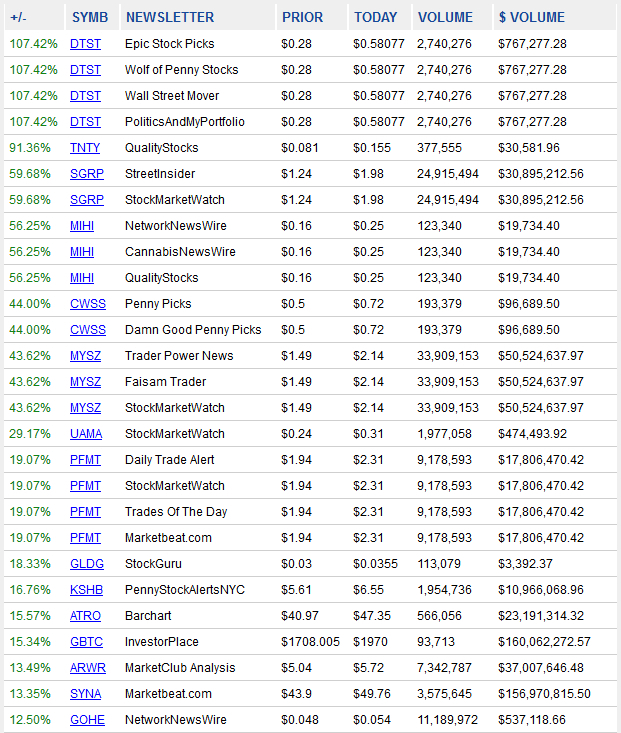 True Nature Holding, Inc. (TNTY), closed Friday's trading session at $0.155, up 91.36%, on 377,555 volume with 72 trades. The average volume for the last 60 days is 60,607 and the stock's 52-week low/high is $0.0418/$0.6799. InvestorsHub and NewCannabisVentures reported on American Green, Inc. (ERBB), and today we are highlighting the Company, here at the QualityStocks Daily Newsletter. American Green, Inc. operates as a technology company in the medical cannabis industry in the U.S. The Company became one of the first publicly traded technology companies in the medical cannabis industry globally, starting in 2009, with the introduction of the ZaZZZ machine for automated, age-verifying dispensing of cannabis-based medicines. The Company’s dedication is to the developing cannabis market. American Green is based in Phoenix, Arizona. The Company was previously known as Tranzbyte Corporation. It changed its name to American Green, Inc. in May of 2014. American Green’s shares trade on the OTC Markets Group’s OTCQB. The Company’s mission is to lead the cannabis industry through taking advantage of its team of professionals in cultivation, manufacturing, extraction, wholesale, retail, and community outreach. American Green has a state-of-the-art cultivation facility in Phoenix, Arizona. American Green also has Involvement with the sale or creation of a number of apps supporting cannabis and small businesses alike. This includes the Blaze Now dispensary locator that can be found in the Apple and Android app stores and the Company’s own Xpress app. In September 2017, American Green purchased the desert town of Nipton, California. In October, the Company announced that it completed Phase One of its integration into Nipton. American Green has plans ready for presentation to the corresponding regulatory entities to facilitate and accomplish its stated goals for the town's future -- becoming the first energy-independent cannabis-friendly town in the United States. The new focus for the Town of Nipton is as a host location for cannabis tourism as well as a hub for art and nature educational workshops. The town’s traditional role involved mining, ranching and railroading. American Green has launch its Nipton Commemorative Paver program, using environmentally beneficial products and methods as a way of inviting visitors and locals alike to efficiently and safely move about the town; mainly on historically commemorative pavers. Those desiring to buy a commemorative paver for $50 can now have their own paver, complete with their own personalized message, placed into The Nipton Pathway. Each purchaser will also receive an official Nipton Pathway Certificate that is suitable for framing. Yesterday, American Green announced that an agreement was signed with Dispension Industries Incorporated to be its exclusive Canadian distributor. American Green has transformed the safe and secure management of regulated products, including cannabis products and pharmaceuticals, with its new generation of its AGM, branded the Verified Identity Dispenser in Canada. The first machines to arrive in Canada are set for viewing and demonstration to the public, private sector, and key stakeholders in Halifax, Nova Scotia. The Verified Identity Dispensers will play an important role in the distribution of cannabis products as pot legalization emerges in Canada. American Green, Inc. (ERBB), closed Friday's trading session at $0.0016, down 5.88%, on 511,004,537 volume with 997 trades. The average volume for the last 60 days is 266,686,631 and the stock's 52-week low/high is $0.001/$0.0113. MissionIR, Serious Traders, Tiny Gems, Tip.us, SmallCapVoice, StocksToBuyNow, Trader Power News, and Wall Street Mover reported previously on Monaker Group, Inc. (MKGI), and we also report on the Company, here at the QualityStocks Daily Newsletter. Monaker Group, Inc. is a technology-driven travel company listed on the OTC Markets Group’s OTCQB. The Company has numerous divisions and brands, leveraging more than six decades of operation in leisure travel. Monaker Group is the parent company of Maupintour and Next Trip, both leaders in travel. Monaker Group is based in Weston, Florida. Monaker’s companies include the above-mentioned Maupintour and Next Trip, along with EXVG (Extraordinary Vacation Group), and Voyage.tv. The Companies B2B platform provides travel distributors and agencies a Customizable Real-Time booking platform for Alternative Lodging Rentals (ALR) (apartments, vacation homes, resort residences). Voyage TV has access to thousands of hours of travel footage shot in more than 30 countries. There is greater than15,000 clips of hotels, resorts, and cruise and destination activities. The Company’s B2C platform will be the first to provide real-time ALR products along with mainstream travel products and services, all on a single site. NextTrip.com will provide multiple booking platforms, all combined into one user-friendly experience. Next Trip will include hotel, vacation home rentals, resorts, cruises, flights, tours, activities, and car rentals all in one place. Next Trip is powered by the Monaker Booking Engine (MBE). This is a new cloud-based technology platform. It delivers ALR reservations that can be immediately confirmed. MBE delivers Monaker's global ALR inventory via a flexible application program interface (API), which also supports the distribution of Monaker's ALR products to its B2B travel industry partners. The Monaker Booking Engine and API are built to the latest industry standards. This allows for custom integration into almost any existing booking system. Next Trip will serve the entire travel range with travel licenses. These include ARC, IATA, and CLIA & Florida Seller of Travel. Next Trip is the first travel service to offer all its ALR properties as immediately bookable. The Extraordinary Vacations Group (EXVG) platform allows timeshare owners the ability to market their unused timeshare, fractional, condo-hotel units to travelers. EXVG provides a number of unique advantages with a particular concentration on resort properties. It gives its customers and partners’ premier choices for the best vacation destinations at the lowest possible prices. This past November, Monaker Group announced it became the exclusive provider of alternative lodging rentals (ALRs) to Exponential, a cause-related technology marketing enterprise. Exponential offers a white-label e-commerce platform, XPO² that boots fundraising revenue on behalf of affinity groups, charities, as well as NGOs internationally. A new partnership agreement between Exponential and Monaker Group provides for the integration and launch of the Monaker Booking Engine (MBE) on the XPO² platform, and promotion of the ALRs that Monaker delivers. Deployments of the XPO² platform will prominently display Monaker Group's vacation lodging rentals and other travel products. Propelled by proprietary technology, MBE controls exclusively-contracted properties. This permits users to search and immediately book reservations for alternative lodging. Monaker Group, Inc. (MKGI), closed Friday's trading session at $2.20, even for the day, on 8,573 volume with 21 trades. The average volume for the last 60 days is 8,666 and the stock's 52-week low/high is $1.69/$3.25. InvestorsHub reported on Silver Bear Resources Plc (SVBRF), and today we are highlighting the Company, here at the QualityStocks Daily Newsletter. OTCQB-listed, Silver Bear Resources Plc engages in the acquisition, exploration, evaluation, and development of silver properties in the Russian Federation. The Company’s main emphasis is its wholly-owned Mangazeisky exploration license area of 570 sq. km, host to the Vertikalny silver mine development. Silver Bear Resources has offices in Toronto, Ontario, and London, England. In September of 2013, Silver Bear Resources was granted a 20-year mining license for the Vertikalny deposit. The Company filed an updated Feasibility Study in August of 2017. The Mangazeisky Silver Project in the Russian Federation is one of the highest grade silver projects in the world. The Mangazeisky Exploration license encompasses a 35 km mineralized structural corridor, situated roughly 400 km north of Yakutsk in the Republic of Sakha, Russia. As of September 2017, the Mangazeisky Silver Project is considerably advanced with construction. Furthermore, the hot and cold commissioning work is well underway. The Project has 15-plus known targets with Russian P1 & P2 resources providing the opportunity for numerous pits with a centralized processing plant. As of August 2017, Silver Bear Resources’ NI 43-101 mineral reserve and resource estimates include a Reserve of 858 kt averaging 809 g/t Ag totaling 22.3 million ounces of silver. This also includes an Indicated resource of 1.0 Mt averaging 1,079 g/t Ag totaling 36.0 million ounces of silver and an additional Inferred resource of 1.5 Mt averaging 504 g/t Ag totaling 24.4 million ounces of silver. Last month, Silver Bear Resources announced a National Instrument 43-101 (NI 43-101) mineral resource update for the Vertikalny deposit within the Mangazeisky Silver Project, Republic of Sakha (Yakutia), Russia. Infill channel sampling improved the Company’s knowledge of grade distribution in the Vertikalny deposit. The additional sampling converted 1.8 million ounces of contained silver resource to the Measured resource category. In addition, Silver Bear Resources said that it now has a good understanding of the local variability within the near-term open-pit resource. This will provide the Company an excellent foundation for short-term mine planning. This week, Silver Bear Resources announced receipt of the license for usage and storage of hazardous chemical materials for its Mangazeisky Silver Project. With this License, the Company can now deliver all required reagents to the site. This will allow it to start final hot commissioning followed by first silver production during Q1 2018. Silver Bear Resources Plc (SVBRF), closed Friday's trading session at $0.2454, up 1.15%, on 58,884 volume with 22 trades. The average volume for the last 60 days is 34,523 and the stock's 52-week low/high is $0.0836/$0.3761. OTC Markets, InvestorsHub, Marketwired, and Stockrow reported on Blue Line Protection Group, Inc. (BLPG), and we highlight the Company as well, here at the QualityStocks Daily Newsletter. Blue Line Protection Group, Inc. provides consulting, armed security, compliance and investigations, transportation and secure vaulting services to banks, businesses and government entities. The Company’s professional team consists chiefly of former military and law enforcement personnel with decades of experience in protection, investigations, logistics and tactical industries. Established in 2006, Blue Line Protection Group is headquartered in Denver, Colorado. The Company previously went by the name The Engraving Masters, Inc. It changed its corporate name to Blue Line Protection Group, Inc. in May of 2014. The Company lists on the OTC Markets OTCQB. Blue Line serves banks and credit unions through providing currency processing and transportation solutions. The Company’s risk mitigation services help financial institutions serving cash-intensive industries comply with federal “know your customer” mandates. Blue Line Protection Group lessens the risk of criminal activity and creates a secure retail experience by protecting businesses on-site and securing their assets on the road. The Company works side-by-side with retail establishments. Blue Line helps retailers remain compliant with all pertinent laws. Moreover, the Company shows retail establishments how to protect their businesses through letting Blue Line assume the responsibility and liability for their protective services. In 2017, Blue Line Protection Group established its role as the key provider in compliance and currency transportation services for the legal cannabis industry. It transported and processed close to $400 million for its clients throughout Colorado. The Company lessens the risk for financial institutions and cash-heavy businesses. Blue Line acts on behalf of banks and credit unions by collecting cash sales revenue from their client locations. Upon collecting the currency, Blue Line transports it to one of its secure processing facilities. It provides currency handling and validation services for the bank and transportation of processed currency to the Federal Reserve. Blue Line Protection Group, Inc. (BLPG), closed Friday's trading session at $0.0751, down 6.13%, on 732,832 volume with 119 trades. The average volume for the last 60 days is 627,160 and the stock's 52-week low/high is $0.0115/$0.12. The QualityStocks Daily Newsletter would like to spotlight Singlepoint, Inc. (SING). Today, Singlepoint, Inc. closed trading at $0.09, up 1.24%, on 14,427,431 volume with 783 trades. The stock’s average daily volume over the past 60 days is 12,269,152, and its 52-week low/high is $0.0132/$0.415. CFN Media Group ("CannabisFN"), the leading creative agency and media network dedicated to legal cannabis, announces publication of an article covering the cryptocurrency market and SinglePoint Inc.’s (OTC:SING) recent partnership with former ‘Shark’ Kevin Harrington. The QualityStocks Daily Newsletter would like to spotlight Cache Elite Inc. (ILUS). Today, Cache Elite Inc. closed trading at $0.0163, up 5.16%, on 3,798,372 volume with 135 trades. The stock’s average daily volume over the past 60 days is 663,496 and its 52-week low/high is $0.0021/$0.06. In the United States, Cache Elite (Ilustrato Pictures International Inc.) (OTCPK:ILUS) has become a first mover with its proprietary travel software and website www.tripwitz.com that offers bitcoin payments as an option to pay for airline tickets, hotel, rental cars, tours, and activities. Cache Elite (OTCPK:ILUS) TripWitz enables travelers to invest in bitcoin without actually having to buy, store or safeguard the cryptocurrency as bitcoins rise in popularity for travel. Cache Elite Inc. (ILUS) is a forward-thinking technology and service provider. The company provides homeowners with the latest in 3D designs, decorative hardware (http://www.eliteknobs.com), and travel and vacation services. Its foray into travel-related services can be found at the TripWitz website (http://www.tripwitz.com) where its proprietary back-end software, called Internet Travel Management Software, helps TripWitz provide its customers with a distinctive, cost-effective and perfect travel experience that sets it apart from other online travel agencies such as Expedia and Travelocity. TripWitz provides real-time, dynamically packaged vacation quotes that include airfare, hotels, villas, ground transportation and activities. Every client searching for a smarter way to travel will find TripWitz is able to cut out the stress and frustrations found with other online travel agents. The company provides its intuitive travel services to clients searching vacations possibilities at more than 20,000 destinations around the globe. TripWitz contracts with over 500,000 hotels and connects with the world's airlines through Google's ITA Gateway software that allows for advanced availability solutions to satisfy millions of queries per second at the lowest possible fares. Seasonal rate fluctuations for many travel services, including ground transportation options, are included in the company's software, giving clients the best possible rates. TripWitz prides itself on giving users a friendly vacation experience that includes access to an experienced vacation destination specialist. Customers are never left to fend for themselves at any point of their vacation experience. TripWitz is also accepting Bitcoins, the international cryptocurrency, as payment for not only flights but vacations as well. A new report published by Allied Market Research projects the global online travel market will reach an estimated $1,091 billion by 2022, with the Asia-Pacific region expected to witness the highest growth during the forecast period. Travelers are looking for sound help in making travel decisions that fit within their budgets. Younger travelers, those within the 21-31 year age bracket, are seen as a more mobile generation, using social media and smartphones for many of their travel planning and booking needs. TripWitz is an accredited member of the CCRA (Travel Commerce Network), which connects the company to over 180,000 properties worldwide. TripWitz is also an ARC approval agency. ARC accredited agencies are the most select group of dedicated professionals in the U.S. travel industry and are recognized as having met stringent financial, personnel and security requirements. The QualityStocks Daily Newsletter would like to spotlight ChineseInvestors.com, Inc. (CIIX). Today, ChineseInvestors.com, Inc. closed trading at $0.7198, off by 0.03%, on 139,915 volume with 101 trades. The stock’s average daily volume over the past 60 days is 240,439 and its 52-week low/high is $0.40/$2.75. NetworkNewsWire Editorial Coverage: In a global marketplace where Internet-based technologies increasingly allow businesses the means and confidence to work with each other beyond political borders and with a minimum of governmental interference, cryptocurrencies have the potential to create a B2B interdependent financing system — perhaps even a single, common digital currency someday — because of the blockchain technology that underpins cryptocurrency trade. With the beginning of market movement for the new year, cryptocurrency started just shy of $613 billion in total capitalization and climbed steadily toward $750 billion on Jan. 4, showing an exponential rise just since April 2017 when it passed the $25 billion mark. ChineseInvestors.com, Inc. (CIIX) (CIIX Profile) is one of the businesses committed to the development of blockchain-based cryptocurrencies, recently announcing plans to spin-off two of its corporate divisions tied to hemp marketing and the burgeoning legal cannabis industry in order to focus on its cryptocurrency division (http://nnw.fm/5sf8Z). Under a wholesale agreement with a reputable CBD health brand, CIIX is launching the world's first online CBD health products store published in the Chinese language. The site, www.ChineseCBDoil.com, caters to a growing number of Chinese people awakening to the numerous health benefits of CBD oil for treatment of a variety of conditions such as anxiety, stress, poor sleep, Alzheimer's disease, and more. CIIX expects to launch this website at the end of January 2017, and plans to sell CBD-infused products via online and in-store. The QualityStocks Daily Newsletter would like to spotlight Lexaria Bioscience Corp. (LXRP). Today, Lexaria Bioscience Corp. closed trading at $1.50, off by 15.25%, on 1,194,076 volume with 1,263 trades. The stock’s average daily volume over the past 60 days is 482,625 and its 52-week low/high is $0.27/$2.54. Lexaria Bioscience Corp. (LXRP) has developed and out-licenses its proprietary technology for improved taste, rapidity, and delivery of bioactive compounds, including cannabinoids. Though boasting a wide range of health benefits, cannabinoids are traditionally poorly absorbed by the body's gastrointestinal tract. To achieve higher effectiveness, consumers usually default to smoking. Lexaria provides a superior administration method by delivering hemp oil ingredients – or through locally licensed partners, cannabis oil ingredients – through a patented process within food products. The key differentiator between Lexaria's products and others on the market is the company's disruptive technology proven to enhance the absorption of orally ingested cannabinoids while improving the "unusual" taste of cannabinoids and allowing for lower overall dosing with higher efficacy. Lexaria is primarily a B2B enterprise, and is in licensing discussions or has existing agreements with companies in Canada, the largest-market states in the USA, and internationally. Lexaria has also developed its own brands partly for demonstration purposes, utilizing its patented technology to infuse hemp oil ingredients within lipids in popular foods. These brands include ViPova™, Lexaria Energy Foods, and TurboCBD™. In 2015, Lexaria commissioned an independent, third-party lab to test its technology under carefully monitored in vitro conditions. Results showed that the company's technological process and lipid formulation both improve intestinal absorption as much as 500%. Additional follow-up studies in human volunteers suggested that Lexaria's processed, lipid-infused tea may be more effective in an actual gastrointestinal system than in an in vitro simulation with results indicating as much as a 1,000% increase in overall absorption. Lexaria also has an R&D partnership with the Canadian government's National Research Council. That R&D is expected to characterize molecular bond formation theorized to occur with Lexaria's unique technology between the lipid delivery agents and the bioactive substances it processes and combines. Results from this R&D are expected to support accelerating B2B relationships – not just in the cannabis industry, but also to support new B2B business relationships in the fields of vitamins, NSAIDs, and nicotine delivery. All of these sectors expected to offer additional future growth potential. Aside from testing, a critical component of Lexaria Bioscience's business model is a strong intellectual property portfolio that utilizes the most commonly used food processing techniques. As of 2017, the company's patent portfolio includes 19 patent applications filed and pending in more than 40 countries around the world. The most recent patent applications expand Lexaria's lipophilic food and beverage composition claims to include the processing of cannabinoids, vitamins, NSAIDs and nicotine in many of the world's most commonly used food processing ingredients. Lexaria is expecting additional new patent awards both in the USA and internationally in 2017 and 2018. The QualityStocks Daily Newsletter would like to spotlight MGX Minerals Inc. (MGXMF). Today, MGX Minerals Inc. closed trading at $1.009, up 12.07%, on 387,503 volume with 243 trades. The stock’s average daily volume over the past 60 days is 184,752 and its 52-week low/high is $0.43/$2.119. The QualityStocks Daily Newsletter would like to spotlight Medical Innovation Holdings, Inc. (MIHI). Today, Medical Innovation Holdings, Inc. closed trading at $0.25, up 56.25%, on 387,503 volume with 243 trades. The stock’s average daily volume over the past 60 days is 184,752, and its 52-week low/high is $0.43/$2.119. 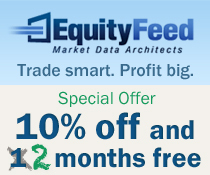 The QualityStocks Daily Newsletter would like to spotlight AnalytixInsight Inc. (ATIXF). Today, AnalytixInsight Inc. closed trading at $0.5897, up 1.95%, on 16,281 volume with 13 trades. The stock’s average daily volume over the past 60 days is 35,505 and its 52-week low/high is $0.15/$0.6898. Global Payout, Inc. (GOHE) MoneyTrac Technology, Inc. Strategically Moves Forward with Anticipated Token Offering with Pegasus Fintech, Inc.